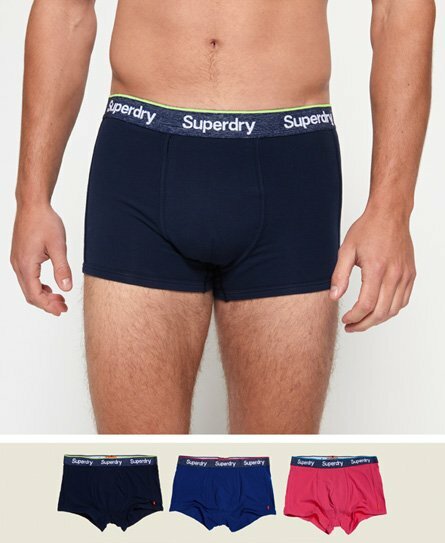 Superdry men's Sport trunks from the Orange Label range. Classic in style, these boxer shorts have been designed with your comfort in mind, featuring a panelled design, branded waistband and logo tab on the rear of the waistband. The Sport trunks have been completed with the iconic orange stitch in the side seam.